Wood’s CRW, Scott Equipment and Scott Van Keppel will further expand the brand’s footprint in North America. 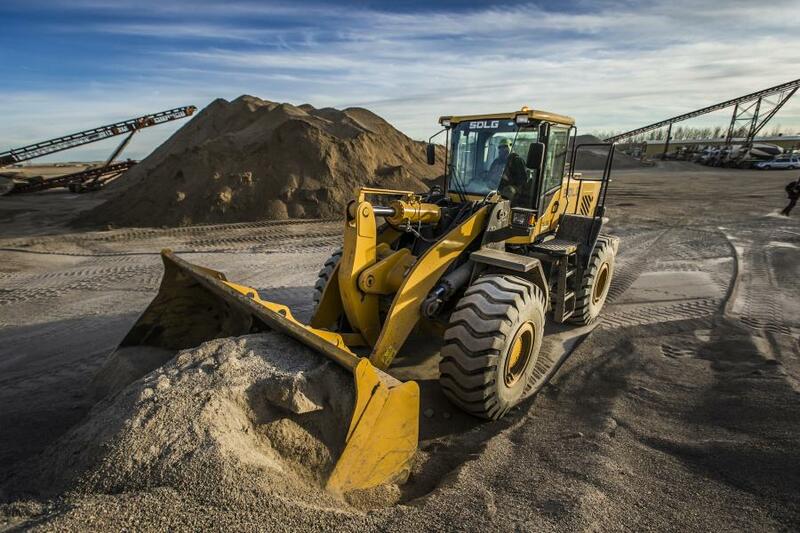 It's been a little over two years since SDLG began selling its wheel loaders in the United States and Canada, and already, the company is having an impact on the region. As the brand's value proposition gains traction, it has increasingly become important for the company to expand its dealer network to satiate growing demand. SDLG's strategy in the region has been to partner with dealers that have proven their expertise through years of excellent service and support to their customers. SDLG dealers must know their markets well enough to introduce the brand to customers that will find great benefit in choosing its wheel loaders, and then provide them with years of assistance. The three newest dealers to sell SDLG wheel loaders wholly measure up to this standard and will be important links in the brand's continent-wide network. Wood's CRW, Scott Equipment and Scott Van Keppel will further expand the brand's footprint in North America. Wood's CRW is a construction equipment specialist based in Williston, Vt. Founded in 1961, the company's guiding business philosophy is a commitment to after-sale support, which makes it an ideal partner to facilitate SDLG's 21st Century Product Support. Kevin Vellek, earthmoving equipment sales manager, said the company added the brand to its portfolio to give customers an affordable, warranty-backed alternative to premium wheel loaders. Vellek expects his customers to use SDLG wheel loaders in a variety of applications, such as agricultural work, small quarry jobs, landscaping, construction and municipal work. He also expects there to be seasonal demand, especially for snow removal. “It's a great machine for snow removal because with the lower price, customers aren't sacrificing too much ROI,” Vellek added. Also joining SDLG is Monroe, La.-based Scott Equipment, a heavy equipment company with 24 locations in seven states. The dealer will introduce the wheel loaders in the New Orleans metro area and expand availability according to customer demand. Joey Reeves, store manager of the New Orleans market, said he envisions SDLG being a great option for his customers, who work in a variety of industries. He especially thinks the brand will be a hit with those working in concrete and stevedoring operations. Scott Equipment has been an authority on construction and material handling equipment since 1939. The company's 24-hour service support, extensive parts inventory and wide consumer base make it an ideal addition to SDLG's network. Scott Van Keppel is a partnership between Scott Equipment and G.W. Van Keppel of Kansas City, Mo., formed in 2007. It will begin selling SDLG wheel loaders from all three of its locations: Omaha, Neb. ; Cedar Rapids, Iowa; and Ankeny, Iowa. Doug Wilson, division manager, expects his Midwestern customer base to find SDLG ideal for farming and agricultural applications, including field preparation, dairy operations, and the grain and fertilizer sectors. He said the company was drawn to the brand's quality and reliability. Scott Equipment and G.W. Van Keppel share a combined 160-year history of service excellence. The shared experience between the two companies made Scott Van Keppel a perfect fit for SDLG's strategy of bringing on dealers with proven track records. The SDLG LG938L, a 2.5 cu. yds. (1.9 cu m) capacity wheel loader; the LG948L, a 3.0 cu. yds. (2.3 cu m) capacity wheel loader; the LG958L, a 4.0 cu. yds. (3 cu m) capacity wheel loader; and the LG959, which has the same basic specs as the LG958L, but with wet disc brakes rather than dry disc. All four loaders are backed by a 12-month, 1,500-hour manufacturer's warranty, and customers can expect parts to ship in as little as 24 hours. Al Quinn, director of SDLG North America, said these recent additions to SDLG's dealer network fit with the blueprint that the company has laid out to succeed in North America. Business NewsNew ProductsSDLGWood's CRW Corp.
Business News New Products SDLG Wood's CRW Corp.